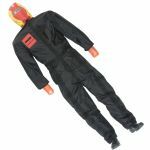 These higher specification, flame retardant dummies demonstrate a good balance between temperature and abrasion resistance. 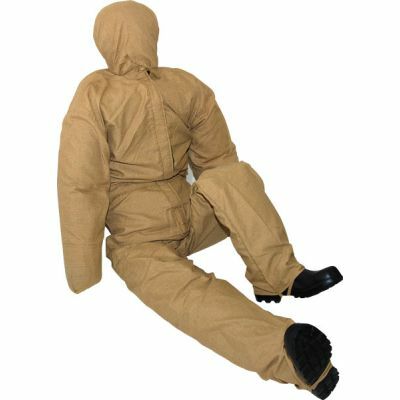 General construction is similar to the General Purpose Manikin, but instead uses a foil backed Kevlar material for the outer carcass, the material being stitched using PTFE coated glass thread. 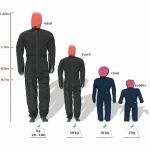 The protective overalls are made using PBI Gold (the material of choice for most turnout gear manufacturers) which provides excellent heat and abrasion resistance. 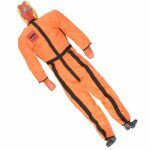 Flame Retardant training manikins are fitted with heat resistant firefighters safety boots supplied by Hunter boots, the boots greatly extend the life of the manikin protecting the legs if the dummy is dragged along the ground. A separate hood, also made in PBI Gold completely covers the head, being separate makes the fitting of replacement overalls considerably easier. The manikins will easily withstand temperatures of 200-250 degrees C, the average temperature at knee height for 'hot fire' training and only starts to 'fail' at temperatures in excess of 400 degrees C and then it will be the fire boots that fail first. Flash-over temps greater than 1000 degrees are withstood by the dummy for short periods.